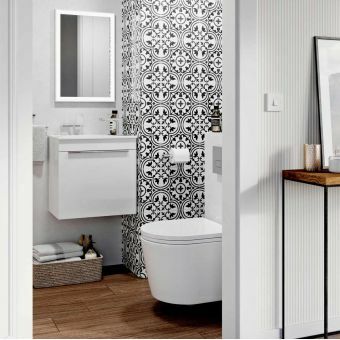 Innovative in style and yet fully functional, this compact bathroom collection has been created with the smaller bathroom in mind. 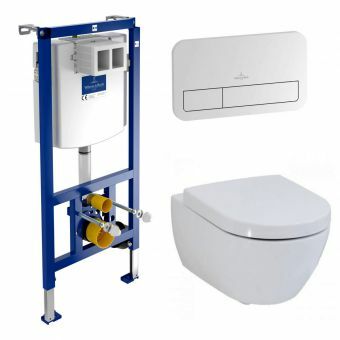 Designed for even the most challenging of spaces it still manages to give you everything you will need in a bathroom but still retain flair and ingenuity. 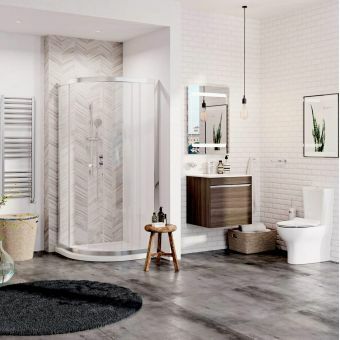 The suite is based around the stunning Kai range with furniture presented in a white high gloss finish which brings a whole new level of luxury to any bathroom space. 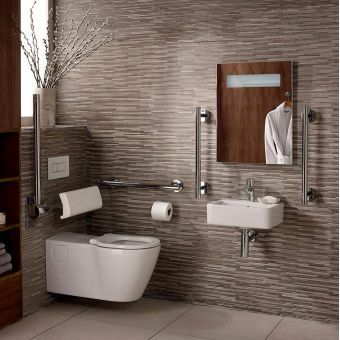 The WC unit includes a hidden cistern combined with a water-saving dual flush chrome button which perfectly matches the sculpted curves of the Kai back to wall toilet pan. 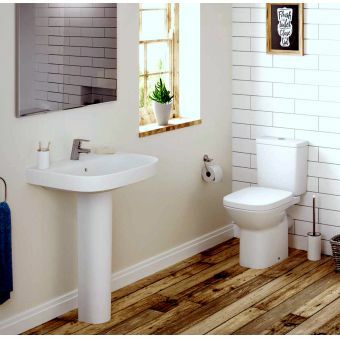 This is fitted with the latest soft closing toilet seat and cover that presents a slim side profile, typical of the latest designer style. 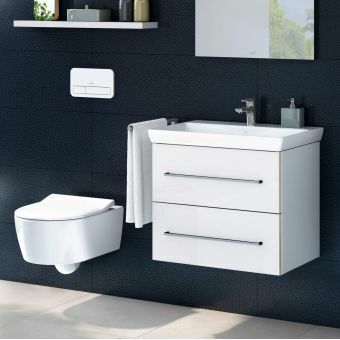 The feeling of elegance and quality is further enhanced by the wall hung Kai basin which wraps neatly around the semi-pedestal hiding all unsightly pipework. The top-selling Kai lever monobloc mixer tap takes pride of place alongside the basin, combining a smooth chrome finish with the chrome sprung waste that makes the filling and emptying the bowl a simple process. 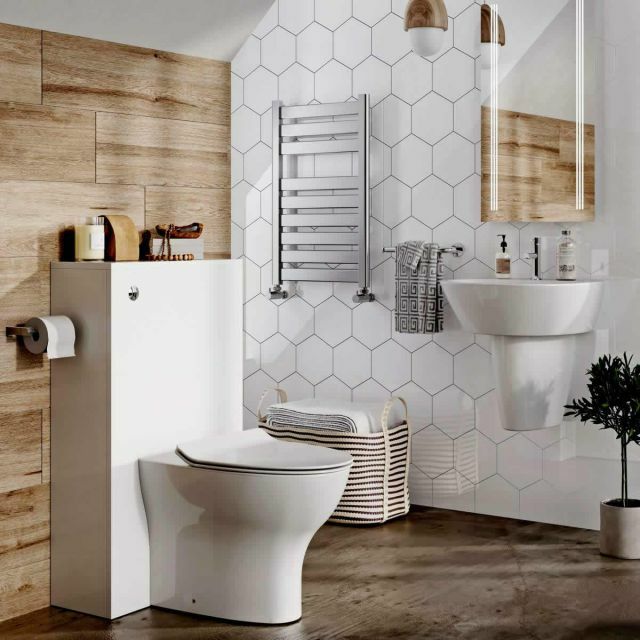 The latest Solo 80 back-lit mirror sits above the basin and provides soft gentle lighting, creating a bright, inviting area in which to wash or put on make-up. 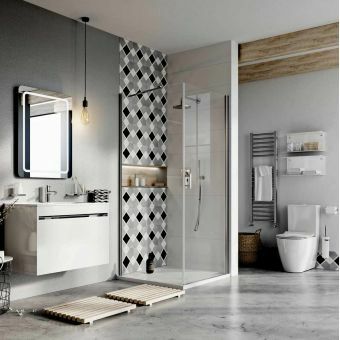 Keeping the whole room warm and cosy is the Edge flat panel radiator fitted with angled chrome valves for optimum comfort and efficiency. 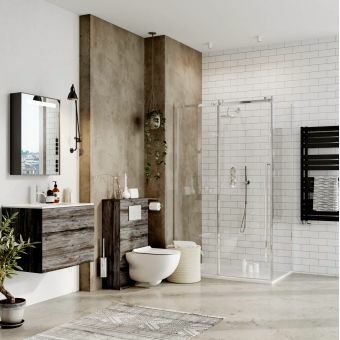 Crosswater's passion for detail is a key component in producing tailor-made bathroom solutions so including the Central towel rail provides a complete coordinated look that will appeal to a broad spectrum of customers.